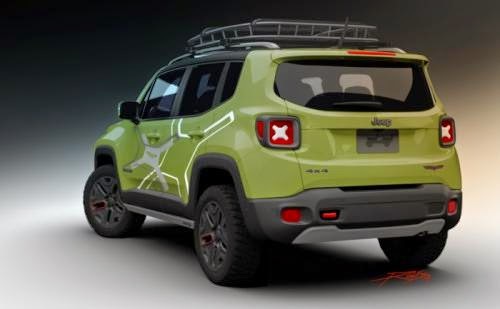 Mopar as spare parts division of Fiat Cyrsler Automobile (FCA) modify Jeep Renegade and to be introduced at the Detroit Motor Show 2015. 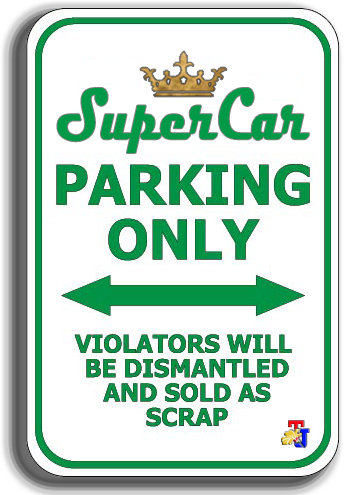 There are two modifications that will be exhibited. 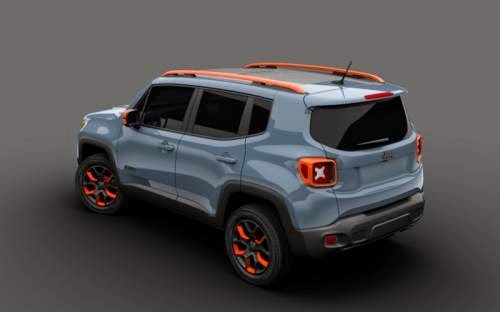 The first is the "Urban Mopar-equipped Jeep Renegade". 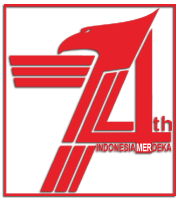 The concept of off-road vehicles with original accessories but has a capability of 4×4 which perfect and suitable for use in the suburbs. Visual differences can be seen from the selection anvil paint with satin accents omaha orange and black on the wheels. Omaha orange color is also very aesthetically in the front grille, house mirrors, roof rails and rear lights. 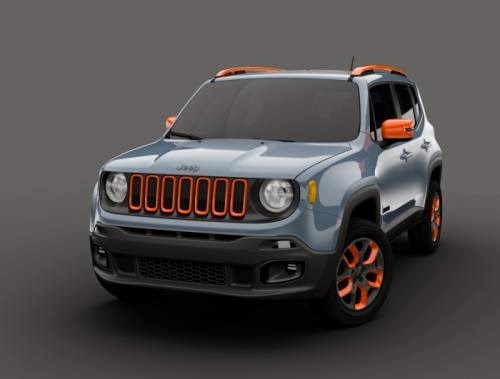 While the second Jeep Renegade modification is "Off-road Mopar-equipped Jeep Renegade". 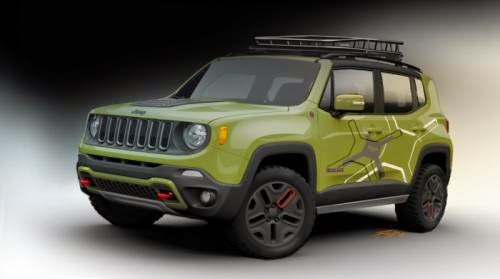 This model is basically a Trailhawk version army green color whitewash with "X" pattern body graphic. The "X" pattern as a connection to the X-shape styling of the taillights. Other changes look on the black wheels and the hood with red accents also given black accents in the middle.